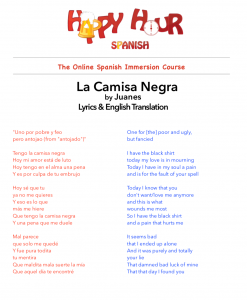 We’re starting off our HHS Music Video series with ” (Tengo) La Camisa Negra” by Juanes, one of the most popular Spanish songs around! If you haven’t heard this catchy tune before you must – It has become a Spanish language classic. If you go to a club in a Spanish-speaking country you are likely to hear it and watch everybody around you dancing and singing to it. 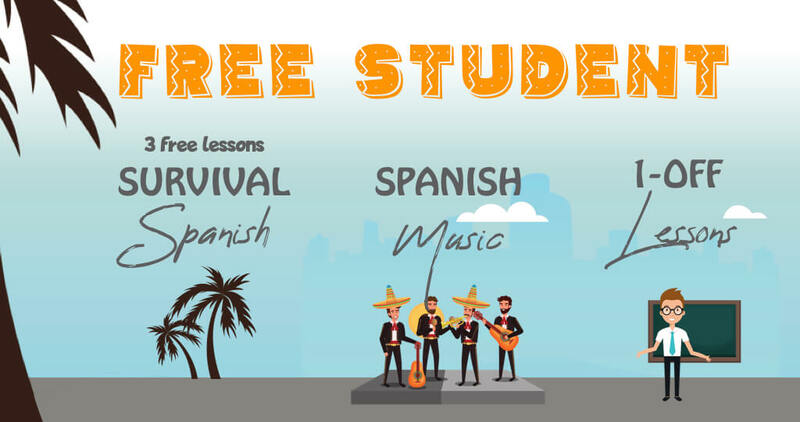 And it’s great for practicing your Spanish! But hang on because he speaks very quickly in some parts!! The name of the song is la camisa negra which literally means “The black shirt”, but it’s not really about his wardrobe. He talks of a love that didn’t work out, a black soul, and a being dead underneath. There are some alternate interpretations of the song, since Juanes is known for double meanings. Juanes is very well known Spanish singer, originally from Columbia. Follow along and learn the song using the transcript below. Then use English translation provided to improve your comprehension. Muchas gracias por enseñarnos esta canción. Me encanta mucho. Ojalá que estuviera en España bailando ahora mismo!